Air India is the national airline of India which launched the Air India Express low-cost service in 2005. Air India is the national carrier of India and one of the country's largest airlines. Despite losing market share to low-cost rivals in the mid-2000's, Air India has made something of a comeback in recent years, re-gaining market share and becoming a member of the Star Alliance group in 2014. 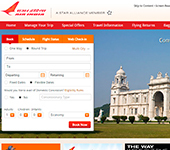 Reviews of Air India, however, tend to be generally negative in terms of in-flight service and customer care, through travelers to commend the airline's consistent low prices. 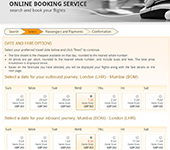 The Air India website offers a simple and helpful panel on its homepage which allows visitors to search for tickets, see flight schedules, check their flight status (with the flight number and date), or complete an online check in using a variety of identification options like e-ticket number, credit card number, or passenger name. 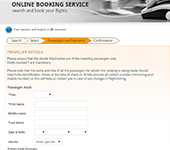 The Air India website also has a convenient section devoted entirely to baggage rules which outlines the checked baggage allowance (15kg. for economy travelers) and accepted dimensions for carry-on luggage (55x40x20cm.). In 2005, Air India launched Air India Express, a low-cost carrier specializing in short, cheap flights from the southern Indian states of Kerala and Tamil Nadu to popular destinations in the Middle East (chiefly Abu Dhabi and Dubai) and Southeast Asia. Where is Air India located?